Sept. 2016. 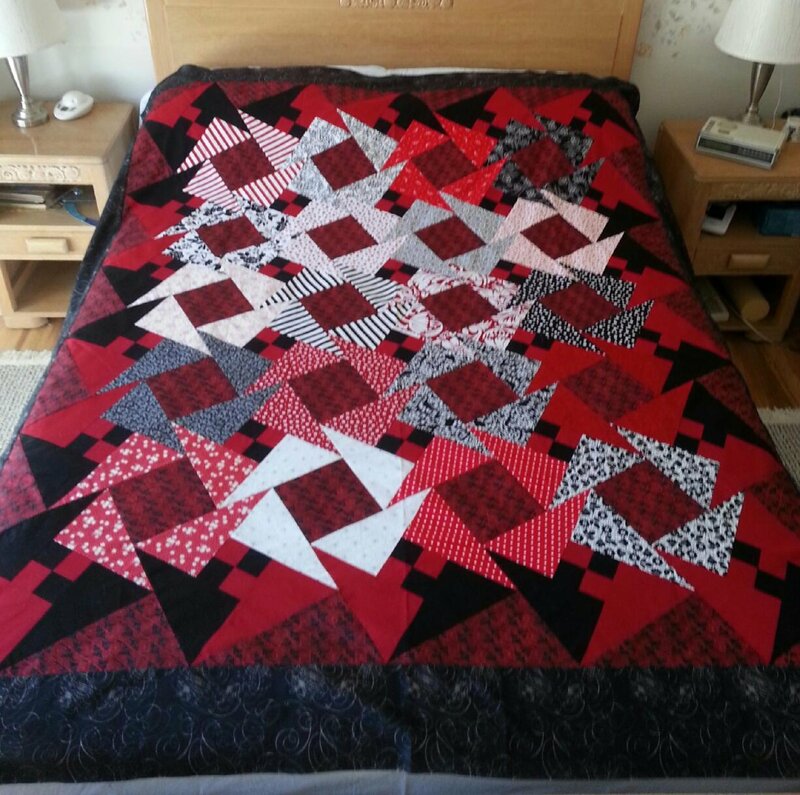 She has put her kit together with some added yardage from her stash and the Arabic Lattice 18" template set. Carol N. finished her commissioned Double Wedding Ring 24" project Sept 2016. 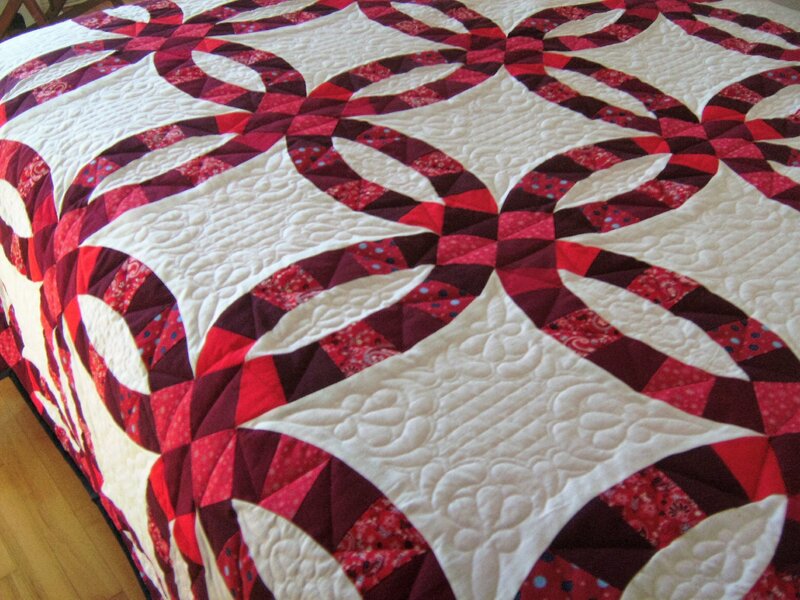 This king size quilt finished at a whopping 106" square. Bleached muslin was used for the background and the reds were chosen by the bride to be from Carols stash.